beneath the backs of my knees. separated me from the casket. I’m older than my brother and sister. with the grownups last summer. I am special, because I do. People always cry at funerals. 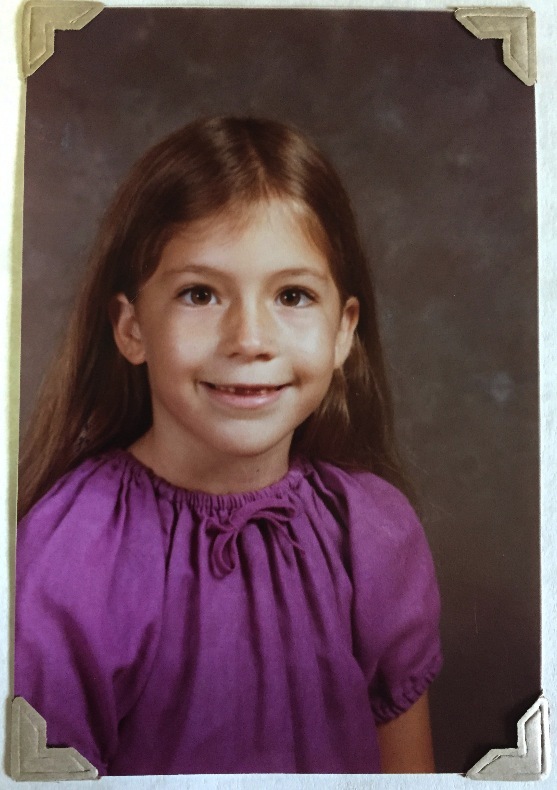 PHOTOGRAPH: The author as a young girl. NOTE FROM THE AUTHOR: “Because I am oldest” encompasses the pride and responsibility I felt being the oldest of four siblings. ABOUT THE AUTHOR: Trish Hopkinson has always loved words—in fact, her mother tells everyone she was born with a pen in her hand. She has two chapbooks Emissions and Pieced Into Treetops and has been published in several anthologies and journals, including The Found Poetry Review, Chagrin River Review, and Reconnaissance Magazine. She is a project manager by profession and resides in Utah with her handsome husband and their two outstanding children. You can follow her poetry adventures at trishhopkinson.com or on her Facebook page: facebook.com/trishhopkinsonpoet. It’s been a good poetry week! Silver Birch Press published my new poem “Because I am oldest” in their “Me as a Child” poetry series this morning. Make sure to check out their current call for submission, “All about My Name”. DEADLINE: June 7, 2015. Thank you so much for including my poem. This prompt was a challenge for me and definitely got me writing! Thanks Robert! Always nice to hear from you.